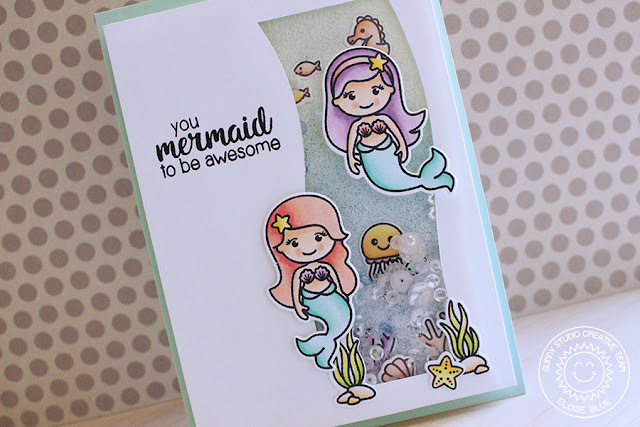 Hi everyone, I'm up on the Sunny Studio Stamps blog today using the Magical Mermaids stamp set to create a card quite out of my comfort zone. I'm using a lot of pastel colours to colour my images today which is something I struggle with a lot so hopefully you like my card, I'm still not too sure about it. I hope you enjoyed my card and to see how I made it, hop over to the Sunny Studio Blog today!